Unleash the glory of the Baltic Porter! Maltheads rejoice for your season is at hand! From brutal Russian imperial stouts to delectable porters, doppelbocks, winter warmers, and beyond, ’tis the season of the malt. We in the Brew Crew are no strangers to the Baltic Porter, style having brewed one of our own in collaboration with Canteen Brewing last winter. As those of you who have read my reviews in the past well know, I am certainly enamored of bold, strong ales. The Baltic Porters which are currently available from Bosque Brewing and La Cumbre certainly flow in that vein and the following are my thoughts on both of these delectable dark brews. Bring the La Llorona home with you. La Llorona (La Cumbre) — Roast chocolate and a light, crisp, hop aroma begins the journey. First taste begins with a malt roast bite on the front, which fades to a smooth, sweet finish with no alcohol burn at all. A very nice, burly porter brethren to Malpais Stout. Burly is in fact a very good way to describe the flavor, the mouthfeel and the finish overall. As this was aged a year, it has a nice, creamy finish in the early going. Definitely worthy of the namesake, La Llorona, sorrow and woe for the depths of Oktober. When warmed, the hops and roast malt linger for a long finish which keeps returning again and again. A shade of licorice and subtle smoked flavor gives us a good presence at the end of the pint. A happy anniversary to us all. 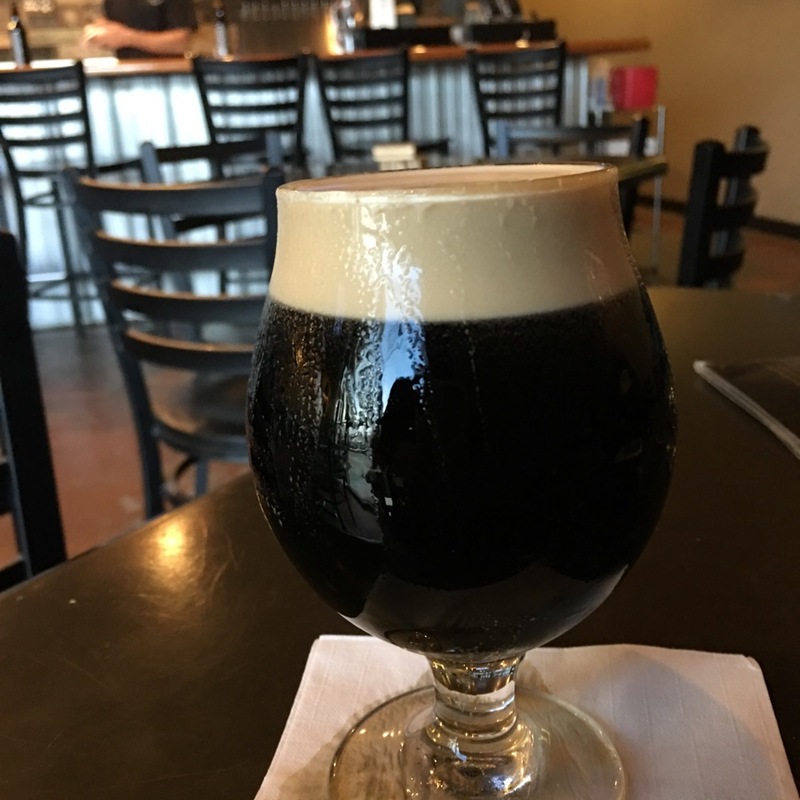 Year Three Anniversary Baltic Porter (Bosque) — The aroma is of sweet malt with honey and dark fruit. Nice hop bite with a little burn, and a silky smooth fade to black at the back. Far silkier than your comparable imperial stout. Nice bitter middle with pine and spruce notes, conjuring thoughts of winter. Incredibly drinkable owing in part to the lagering this went through and really balances out the beer. Chocolate and honeyed dates punctuate the latter half of the offering and the warmth of roast malts warms the body from head to toe. A bit of strong coffee emanates from the last pour of this marvelously crafted porter. Both of these Baltic Porters are as unique as they are delicious and I heartily recommend you enjoy a pint of each for yourselves before they disappear. Pair with fire under the stars, a roaring blaze at your side as the nights grow cold. To the honored dead, prost! Don’t forget to come by and try our newly released Old Town Porter. It’s a meal in a glass . Thanks and keep up the great work. We need to get more updates from Rio Bravo when you release new beers. If you have an email you check regularly, send us a message from it to nmdarksidebrewcrew@gmail.com. Thanks!